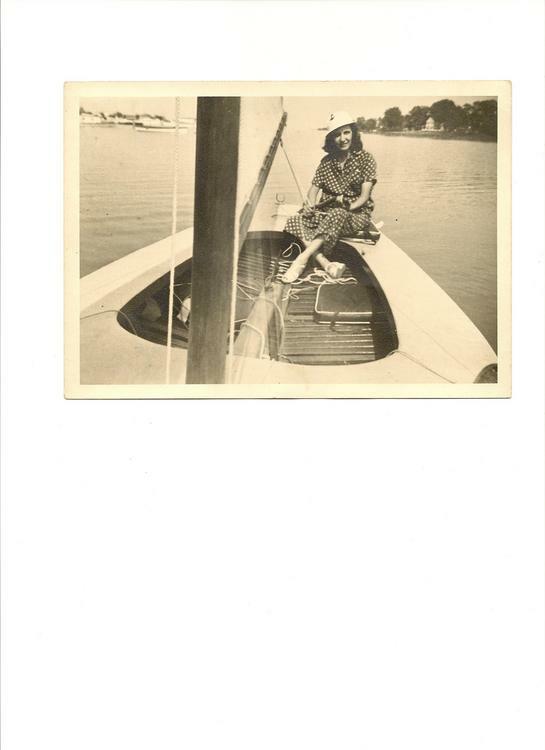 In a September 1959 Report from West River, Margaret Hoffman said that she was at the first OODYC/West River Regatta in 1929. "Way back in 1929 Preston Hartge, Edna Robinson, my brother Gilbert Hoffman and I decided to rent one of Cap'n Ed Leatherbury's sail boats. As we were off Cedar Poiint, Preston and Gil were hailed by Billy Heintz ina sailboat. He asked us to join in the race to a buoy and back. I then noticed several other sailboats for the Cap'n Ed type, and they already had raced out and back. So, we missed being in the FIRST OODYC Regatta.